DPS-Bopal has state of the art 200 mts skating velodrome of International standards. We have hosted skating nationals on our campus. We have also produced State and National level champions in skating. 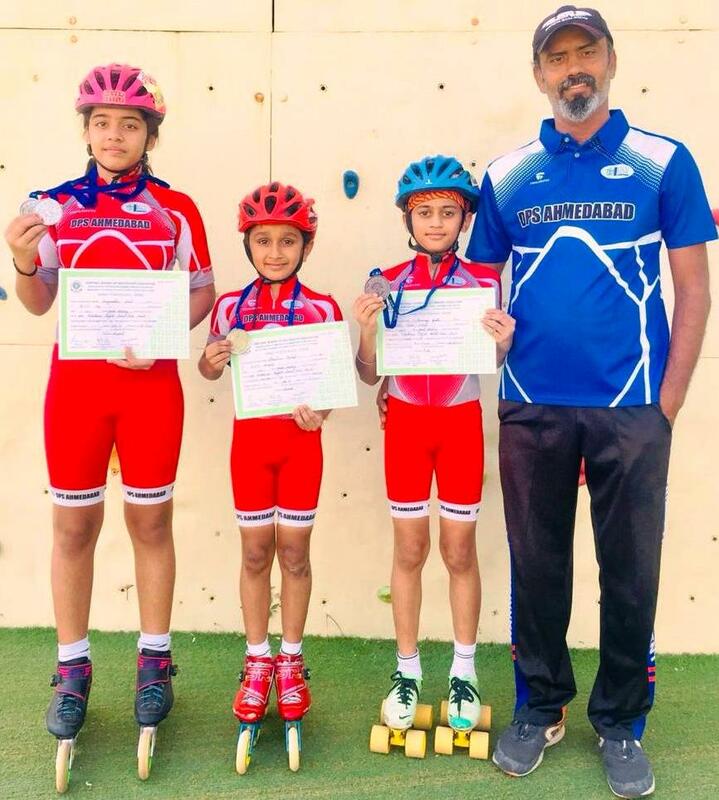 3 Students were Represented Gujarat in 56th National Roller Skating Championship, Which was held at Vishakhapatnam from 18th to 23rd December, 2018. Around 700 Skaters took part in this tournament from all over India. Vrund Patel of Class 9 C won 2 Silver & 1 Bronze Medal and make our School Proud. District Level Skating Tournament 2018 - 2019 held at Delhi Public School, Bopal, Ahmedabad. Result : 17 Gold , 5 Silver and 5 Bronze Medals and 7 Players are Selected for State Level tournament which will be held at Baroda. October, 2018 CBSE West Zone Skating Tournament was held at RMG Maheswari Public School, Surat from 24th October to 27th October, 2018. 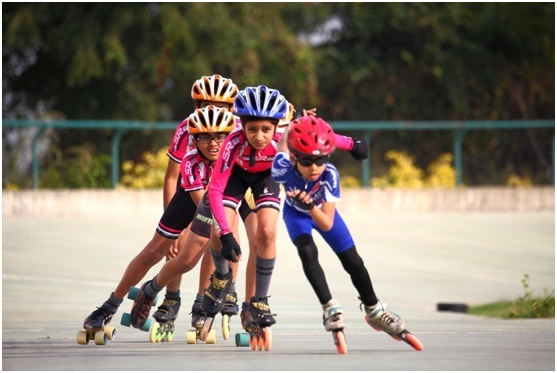 Around 2400 Skaters took part in this tournament from all over Gujarat, Rajasthan & Madhya Pradesh out of which 20 enthusiastic skaters of Delhi public School, Bopal, Ahmedabad gave a tough competition to others. 3 Dipsites outshone by winning 3 Silver and 1 Bronze medal. Two Skater are Selected for CBSE National Skating Tournament which will be held at Raipur, Chhattisgarh in the month of November, 2018. 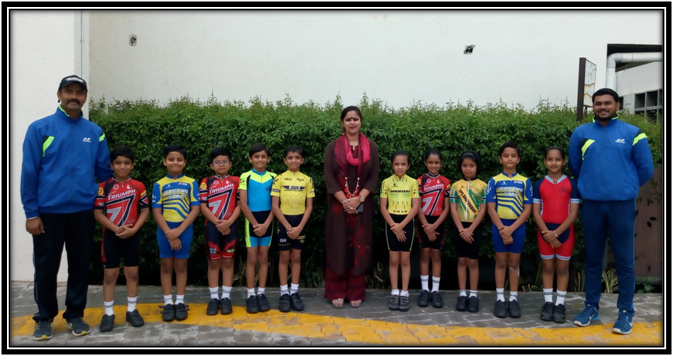 DPS Students participated in 37th State Level Skating Tournament . Which was held at St.Xavier’s Loyola school, Ahmedabad from 26th to 30th December, 2017. Around 580 Skaters took part in this tournament from all over Gujarat. Our Sr. School students won 09 Gold , 9 Silver , 3 Bronze Medals. Delhi Public School, Bopal, Ahmedabad proves themselves by their outstanding performance at the Khelmahakumbh State Level Skating Tournament which was held at Unnati Skating Rink , Baroda from 14th to 18th November, 2017. 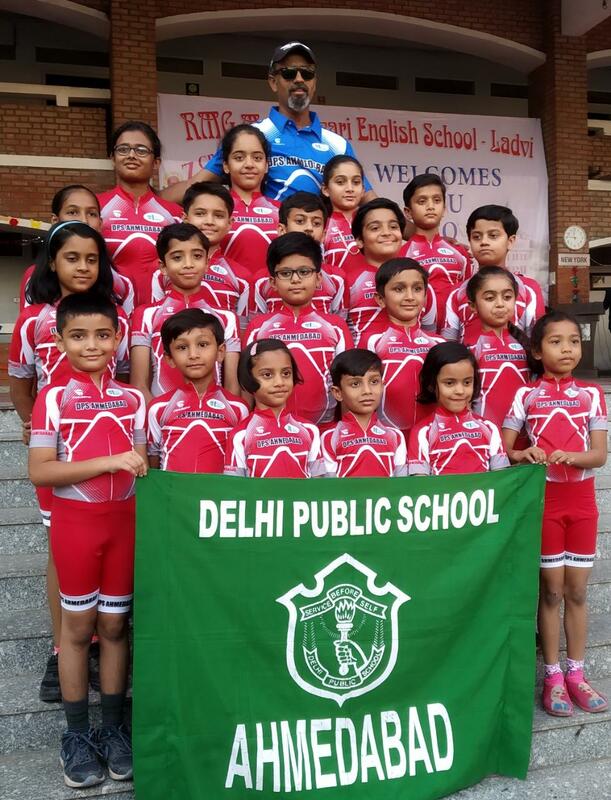 DPS Bopal outshone by winning 4 Gold , 3 Silver and 1 Bronze Medal. In CBSE National Skating Tournament four Players were taken part Which was held at IES Public School , Bhopal , M.P. from 4th to 10thNovember, 2017. Around 600 Skaters taken part in this tournament from all over India. Girls from Delhi Public School, Bopal, Ahmedabad proves themselves by their outstanding performance at the CBSE West Zone Skating Tournament (girls) which was held at IES Public School, Bhopal, M.P. from 8th to 11th October, 2017. From among 450 participants from all over Gujarat, Rajasthan & Madhya Pradesh, 2 girls of DPS, Bopal, outshone by winning 2 Gold and 1 Bronze. They are now going to participate in CBSE National Skating Tournament which will be held at Bhopal, M.P in the month of November, 2017. CBSE West Zone Skating Tournament(Boys) was held at IES Public School, Bhopal, M.P. from 4th to 7th October, 2017. Around 700 Skaters took part in this tournament from all over Gujarat, Rajasthan & Madhya Pradesh out of which 5 enthusiastic skaters (boys) of Delhi public School, Bopal, Ahmedabad gave a tough competition to others. 2 Dipsites outshone by winning 2 Gold, 2 Silver and a Champion’s trophy. They are now going to participate in CBSE National Skating Tournament which will be held at Bhopal, M.P in the month of November, 2017.
held at Eklavya Sports Academy, Thaltej, Ahmedabad. 36th State Level Skating Tournament held at DPS, Bopal, Ahmedabad.